Most of the characterizations I have seen portray eating of the Tree of Knowledge as a sin. -- Do we really want to live in Gan Eden. Therein, everything would be benign and "tam gan eden" would have no connotation of delight. -- Coincident with this act is the "gift" of free will (I assume this exists). From then on, throughout Torah, man's choices are key constituents, if not drivers, of the narrative. Many times we blow it, but either implicitly or explicitly we are given a choice and sometimes a bit of advice: choose Life. -- Yenims portray this as a fall, leaving man in sin until their purported redeemer comes along, and you know the rest of the story. Granted there is a thread of mashiac running through our heritage, yet we are informed that "it is not in heaven" and are exhorted to "choose Life." Which I interpret as: get on with it; no "Waiting for Godot." Are there any traditional sources that support this opinion (Erich Fromm expresses such sentiments, but he describes himself as a well-educated nontheist). EDIT Maybe I should redirect this a bit. Despite the downvotes, I am not oblivious to the fact that a directive of God was violated. Yet, this is not considered in the 613 mitzvos and further the word "sin" is not mentioned. If I'm not mistaken, the first time "sin" is explicitly mentioned in Chumash is in the context of the golden calf. My question was, to reiterate, is there any mention of the perspective I mentioned in traditional sources. Does that warrant a downvote rather than a simple "no" or otherwise citing a valid source? Perhaps more interesting would be, is there any (again in valid sources) discussion as to what the world would have been like if the command was adhered to? 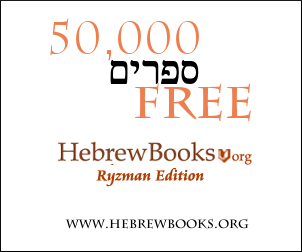 "And it’s very helpful to remember Rebbe Nachman’s statement: 'Everything you see in this world, everything that is created, is all for the sake of man’s free will'” (Tzaddik #519). Of course it was a sin. G-d commanded Adam (Bereishis 2.17) NOT to eat from the Tree; eating was in direct defiance to G-ds Will. With all the rationalisations in the world (some including your list of advantages gained from eating from the Tree), it was still forbidden, and henceforth, a sin. The biggest problem in Judaism is the lack of definitions. Nobody starts with defining the terms, therefore the discussions turn to some blind accusations. THere's no clear definition of a Mitzvah and similarly a sin/transgression. In my personal understanding, in the current world, defined by Rambam as a reward/punishment system (the 13 principles), whatever results in reward is defined as a Mitzvah, and whatever results in punishment is defined as a sin. Therefore, whatever G-d punishes is automatically classified as a sin, no matter what good/bad consequences it bears. As the eating from the tree was clearly punished, it has to be a sin in G-d's eyes. Adam was granted free will, otherwise, he wouldn't be punished. It might be different from ours but it surely was a free will. The humanity is destined to return to [a sort of] Gan Eden so staying in GE is not bad on its own. THe Gemmorah says (A"Z 5a) "בואו ונחזיק טובה לאבותינו שאלמלא הן לא חטאו אנו לא באנו לעולם" - let's be thankful for our forefathers' sins for without them we wouldn't be born. Your positive attitude is nothing new, many good things came out of destruction and disasters, like the destruction of the Temples because of our sins, and nevertheless, we still call it sins. As far as I know, taking what is not yours without permission is called stealing, right? By eating the forbidden fruit they comitted a theft. Therefore, it was the first sin - stealing and disobeying the Lord. There's a line of thinking in Chassidus (coming from Midrashim and Zohar and AriZ"l and Baash"t) that Tzaddikim do "sin" for a greater purpose. In other words "override G-d's direct commandments. Other examples would be Moses breaking the Tablets (an explicit offense) or Aharon making the Golden Calf (a capital offense too). I'd put it simply (in your style): Adam wanted to spice things up a bit. G-d can be perceived on different levels, as we say אבינו מלכנו - He's our king He's our father. When a king commands, you clearly understand that as a commandment, but when your Dad tells you something, you understand it as an advice at best. Tzaddikim are on a level that is so close to Hashem that they see the commandments (and the trade-offs) very differently from laymen. Think about a father saying "I want you to go to a college", but he goes to work and pay for his ill father's medical insurance. Does he sin? Or he's really doing his father's true will? Same here. G-d revealed some explicit commandments, but He didn't reveal His true will, that gives the Tzaddikim the opportunity to act on their own. Just like in our story, we can never truly predict the outcome though, the father might be pleased (see G-d's reaction to Moses breaking the Tablets) or he might be displeased (see His reaction to Moses hitting the rock instead of talking to it). So in case of Adam, he did think that that the G-d's will to let the world spin, and There was a 50% chance G-d would react happily and thank Adam for his move. But turned out He wasn't so pleased. That's how we all now know it was a sin. Hope you take some time to understand this a bit unorthodox approach. Would Adam and Chava have been permitted the tree of knowledge if they'd waited? Adam and the tree of life? How did adam an eve sin before the existence of the evil inclination? How was Adam to conquer the land? Would Adam and Eve have lived forever if they didn't eat from the tree of the knowledge of good and evil? In Judaism, is there a view which is similar to the Original Sin of Christianity?